Social mobility has stalled in Britain; The Return of Meritocracy argues that it is Conservative policies that can unlock opportunities for the many and the few... This book proposes radical Tory solutions to revive meritocracy in Britain today by transforming society and the economy. Following the disastrous 2017 General Election campaign, the Conservative Party is at a crossroads and needs to redefine its values as well as its policies. There is an urgent need for fresh thinking from Conservative grassroots members. 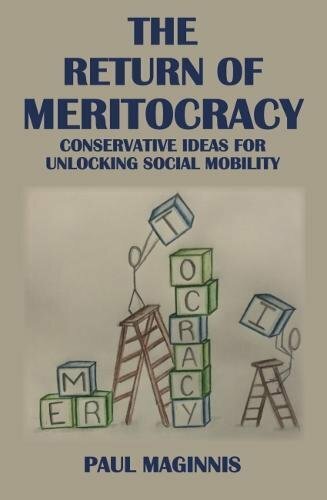 The Return of Meritocracy examines the Conservative record since 2010 on promoting social mobility and offers Conservative policy solutions for the next decade. From the housing crisis, to tuition fees, from family breakdown to inequality, this book discusses the most challenging issues that society faces today. Through a mixture of anecdotal and empirical evidence, this book sets out ways the Conservative Party can improve social mobility in modern Britain.